Hi guys! I don't know about you but this last month seemed to fly by! 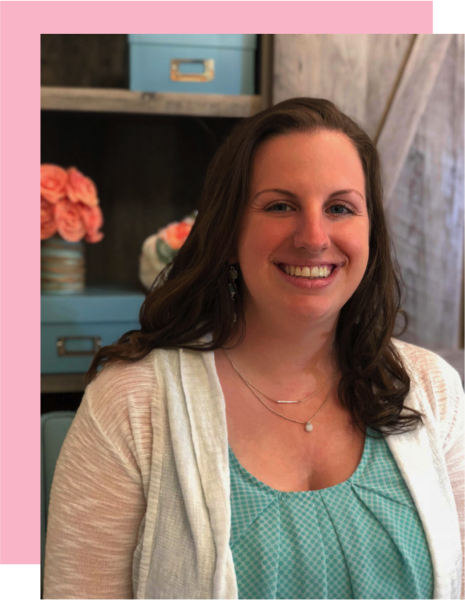 I am excited to be teaming up with my friend Theresa from Theresa's Teaching Tidbits and tons of other great teacher-bloggers to bring you some of our favorite ways to practice addition and subtraction. Addition-When we add (make plus sign with arms), we take two little numbers (hold out two fists) and put them together (bring them together), and then we get more (arms in the air like raising the roof). 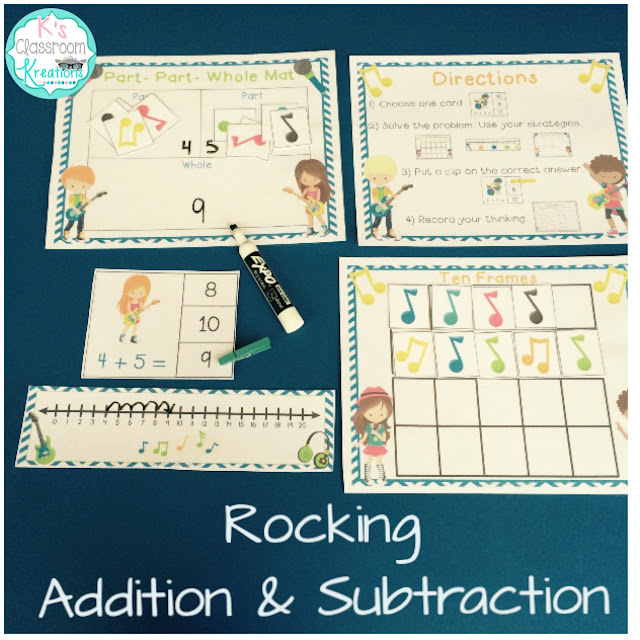 Subtraction- When we subtract (minus sign with arm) we start with a big number (arms in the air), take some away (drag arms down like taking something off of a shelf), and then we have less (push arms down towards the floor). 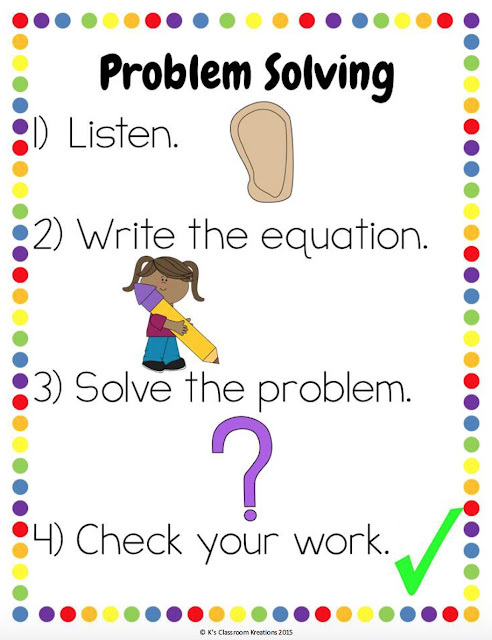 Click each image below for a free copy of the problem solving routine poster. 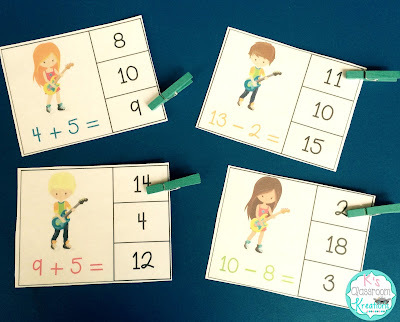 This is a great way to add movement and repetition into math. 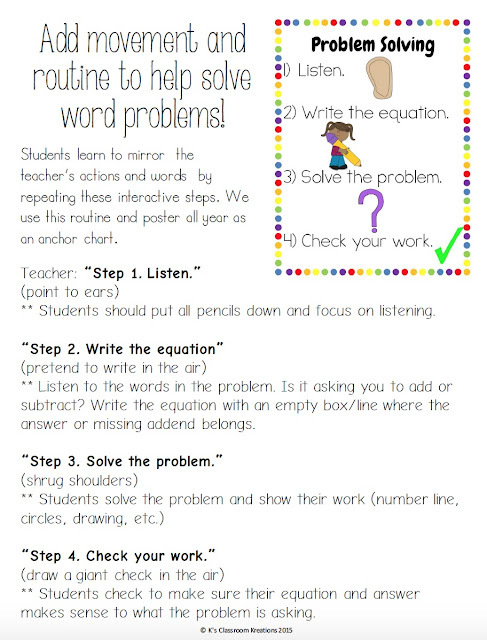 I also like it because the routine forces my students to stop and listen to the word problem rather than just writing an answer. I love to use any sort of seasonal manipulatives to make our math centers even more exciting. Craft stores and party stores are wonderful places to stock up, especially once things go on sale. 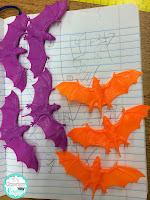 For the bats, students chose a handful of bats out of a baggie and then wrote how many of each color. They were also given problems like " I have 7 bats. 3 are orange and the rest are purple." 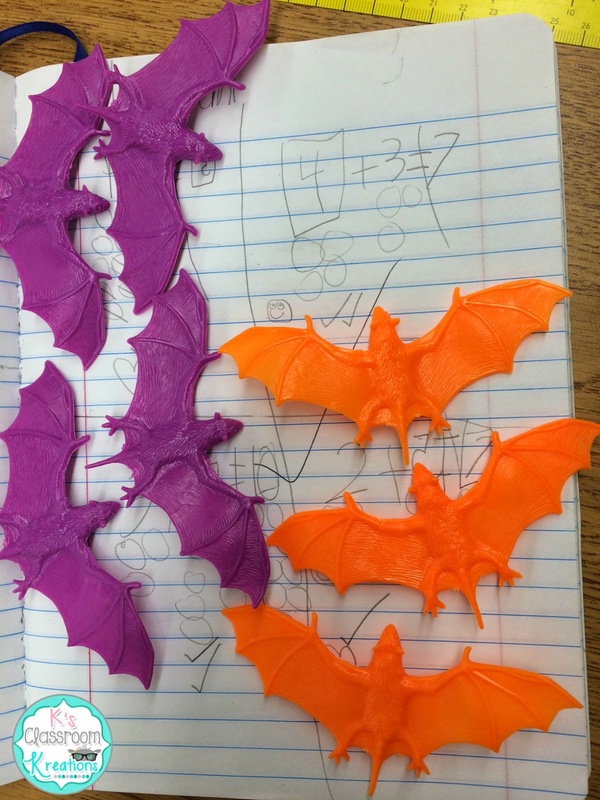 The color coded bats helped them to solve for the unknown addend. 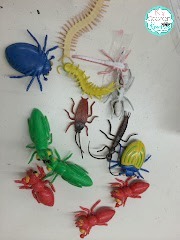 The bugs were dropped onto the table and students then counted how many were "bellies up". This was one way we practiced decomposing a number. We saw that there were many ways to make the number 13 for example like in this picture (9 bellies down + 4 bellies up = 13). Students recorded on paper. 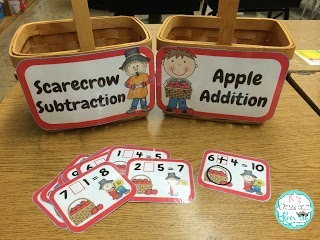 Here's a simple way to use connecting cubes and flashcards to help students visually see the addition process. 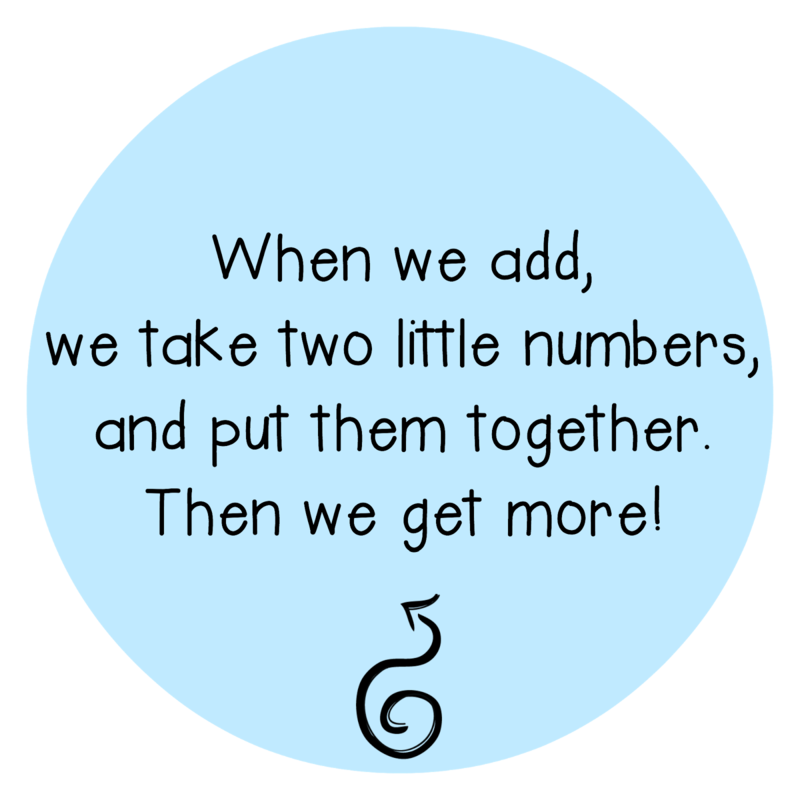 Last week we spent a lot of time on number bonds and the concept of part-part-whole. We took disposable paper plates (super cute animal theme from Walmart), playing cards, and counting squares/tiles. Students worked with partners to choose one card and the matching number of counters. They then took turns dividing those counters into the two Part spots. They quickly saw that their sum remained the same but there were different ways to add to equal that total. 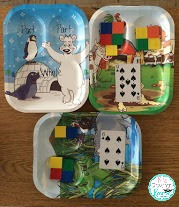 These plates can also be used to solve addition and subtraction word problems by easily displaying the part-part-whole concept. On Friday we made bracelets as a special treat. Students put 10 beads onto a pipe cleaner and moved them into two groups to find partners of 10. They loved creating bracelets and the hands on practice really helped reinforce fluency of 10 facts. 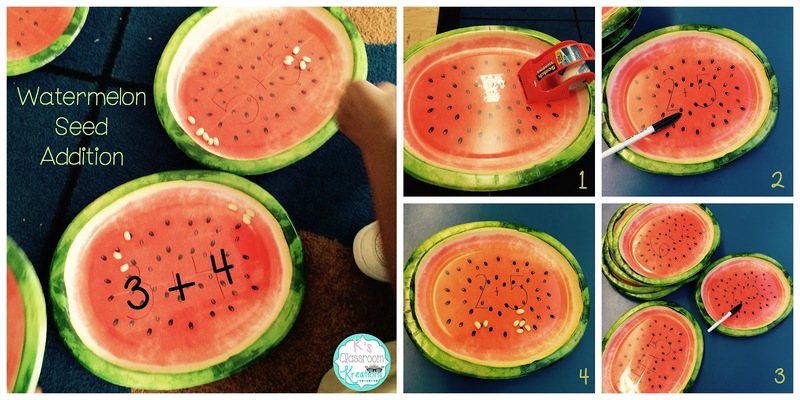 One of our favorite math centers these last few weeks has been our Watermelon Seed Addition. I started by putting packing tape onto the center of watermelon shaped paper plates. Next I used a vis-a-vis marker (or you can use dry erase/sharpie) to write basic facts. You could just use a permanent marker to write directly on the plates but I'm cheap :) and wanted to be able to wipe off the writing and reuse them throughout the year. Next, students used plain white beans (uncooked) to solve the problems. Finally, they recorded the sums into their math journals. Try taking a simple idea and adding a fun theme or twist to make it more engaging. Here, students wrote ways to create the number 14 (or any number for differentiation) on yellow circles and we pretended they were gold coins in a treasure chest. You could do the same thing with apple di-cuts on a tree shape, bat shapes in a large cave, or on little spider images on a giant web, etc. 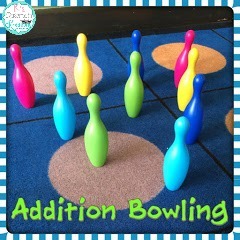 I found a little bowling set and knew it would make the perfect math station (teacher nerd alert). Students rolled the ball and counted how many pins they knocked down on the first try. Then, they rolled again and found the sum of the two rolls. My kids were begging to play this game again all week long! 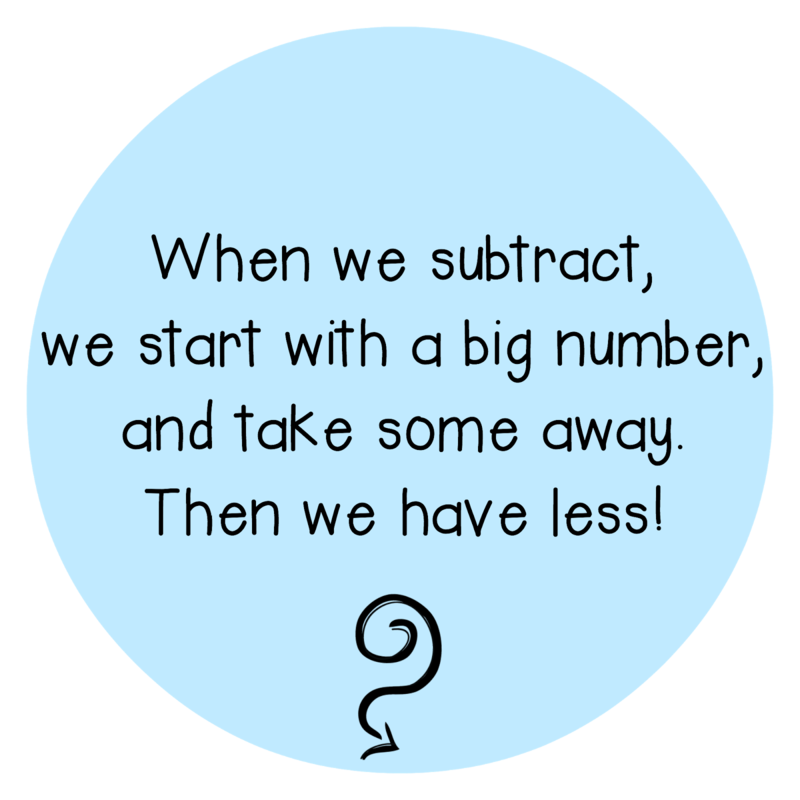 Here is a little addition and subtraction FREEBIE for you (click the image above). Many of my students can add and subtract but still confuse which process is required at times. They also write answers that don't make sense...oops! This freebie has them focus on the numbers used and determine if addition or subtraction makes it true. Enjoy! Lastly, here is one of my newest products that I introduced to my class a few weeks ago. I bought mini clothespins from Michaels (super adorable). 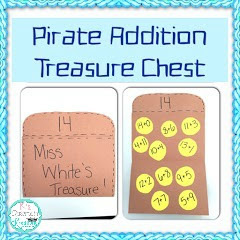 What I love most about these Rocking Addition & Subtraction clip cards is the variety of strategy mats. I want my students able to show their work. 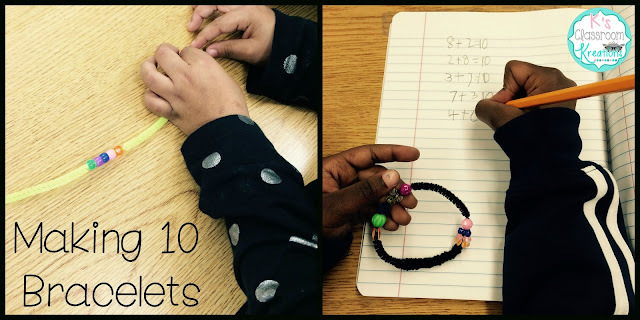 Part-Part-Whole Mats, Ten Frames, Number Lines, and music note manipulatives help students solve each problem. The clip cards are also color coded based on the numbers used with works great for differentiation. Our current standards have us working with addition to 10 (blue) and subtraction from 10 (green). I also included problems to 20 (pink and orange) so we can use it all year long. 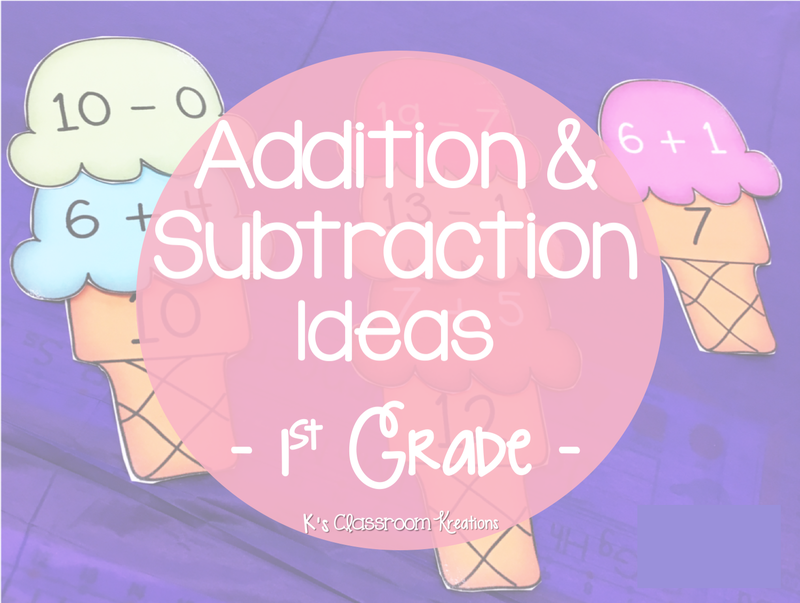 What are some of your favorite ways to teach addition and subtraction? Feel free to link up with us or share your comments below.